Presenting Metro, a modern magazine-style layout built on an optimized mobile responsive platform. The spacious frame highlights your online publishing for a wide-screen world, and the sleek social features will help to build your audience fast. The theme customizer allows you to tweak the theme’s settings, color scheme, background image, and content and see a preview of those changes in real time. Build up your site with 4 homepage widget areas that you can customize to fit your brand. 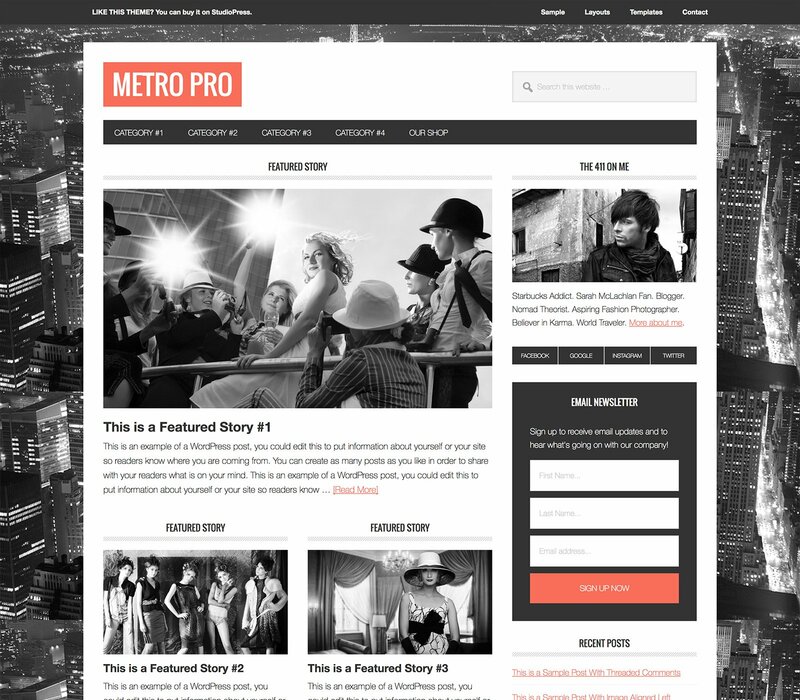 Get your site up and running with the Metro Pro Theme and the Genesis Framework today.